The 3d models created by Yamen Alkhatib who is a 3d designer based in Istanbul, Turkey, are so realistic and are incredible . The beauty of art is it's ability to elicit emotion out of a viewer and the expressions and emotions seen in his models are vivid and awesome. Yamen brings out the human in every 3d models he creates with the excellent colour of skin and texture. The Ottoman leader 3d models by Yamen has it original concept by assassin's creed concept art and he used 3dmax to bring it to perfection. 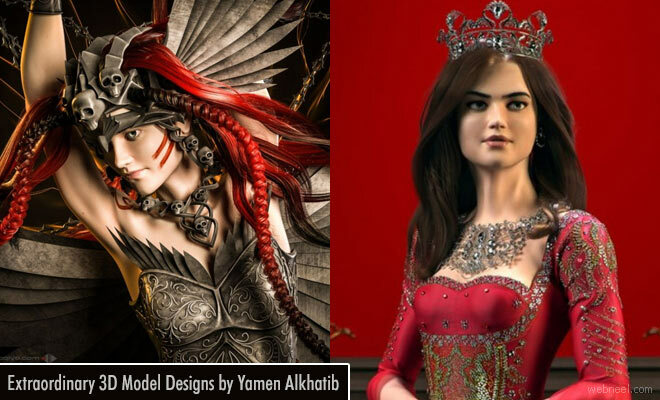 Few exceptional pieces of Yamen's 3d models are shared here for you to enjoy.